Minguo.info/USA is offering solutions for the progressive citizen. Not only it is promoting better election methods which would allow better, more honest candidates to be elected at every levels, it is also offering the tools for users to create their own polls using a variety of alternative voting systems. Those polls can be used to discuss policies as well as candidates. What very few people realise is how much negative influence the current electoral system has on politics and the society in general. If we wish to sanitize the political discourse and improve our democracy, the first step should be to promote and implement a better voting system. The current election method, known as Plurality voting, is the root of many of our current political problems. Trying to solve an aspect of one hot button problem or another without touching the electoral system would be akin to trying to remedy the symptoms of a disease without curing its root cause. It is very important to note that the regular polling methods have a very strong tendency to divide the public into two opposing camps and to promote the use of negative campaigning. Fortunately, alternative election methods exist. They are the cure to one of our society’s most deeply rooted malady. Over at minguo.info, not only you can create your own polls, about any election or on any topic, but you can also chose the voting method to use in your poll. Minguo.info is a non-profit, advertising free, community project which has several, complementary aims. First and foremost, it aims to educate the public about better election methods. It promotes such better methods like Approval Voting, Emocracy Voting and Score Voting. Plurality voting is also implemented in the web site, certainly not because it’s a good election method, but in order to offer the users the chance to compare our current, broken system with better alternatives (follow these last two links, cast your own ballots and appreciate the difference!). Minguo.info also wants to educate against the use of voting machines in official elections. Ideally, there should be a verifiable paper trail in every election. Secondly, Minguo.info is a community web site which provides a safe space where constructive political dialogue can take place. Every one, regardless of political affiliation, is welcome to register for free. 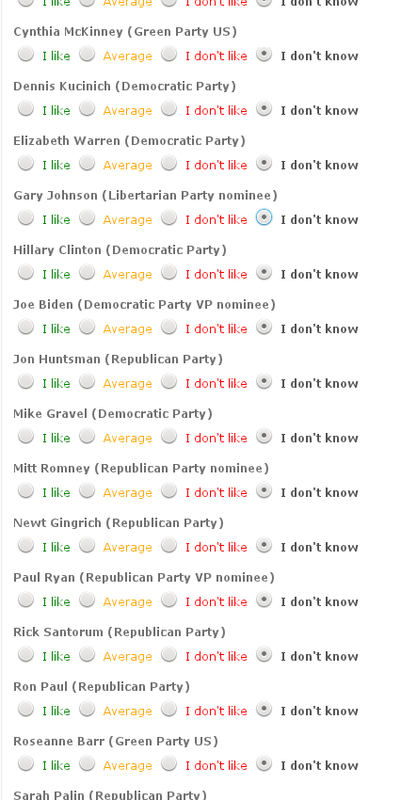 Members can use the site’s advanced polling features to create polls about any policy area of interest to them. The polling methods like Approval or Score voting allow for consensual opinions to emerge, furthering the goals to create a less acerbic, more positive atmosphere in the political debate that accompany each poll. Members all have their own blog which they can use to promote their own favourite policies. The community, consensual nature of the web site is exemplified by what we call the “Community Manifesto“. This manifesto is an emerging document, collaboratively and consensually written by all the members. Its content will change and evolve with time, as members contribute to it. It is based on the results of the community polls created by the members. Each topic in the manifesto describes a policy position based on the results of one or more polls. All of this allows us to make a difference between a political debate and a debate on policy. Politics tends to divide people, especially given the poor election method used in official elections. However, the advanced polling tools used at minguo.info allows for a more peaceful debate on policies to take place, especially since more nuanced positions have the room to flourish and get the approval of a large majority of the members. The site is divided into different ‘realms’, one of which represents the USA. While politics is often country-specific, many issues affect us all, wherever we live in the world. Thus, every English speaking individuals (whether from the UK, from Canada or from anywhere else) are welcome to join in an participate in the USA realm at minguo.info. Besides for the USA, dedicated realms have also been set up for France and Taiwan. Should there be enough interest from members coming from any other specific country, we can set up another realm within minguo specially dedicated to the politics and policies of that country. Thus, minguo.info is an experiment in internet democracy via constructive policy discussion. It is fairly unique on the web. When the community reaches a critical mass, it will be empowered to use its collaboratively drafted policy document (the Community Manifesto) to reach out to the public, educate it and positively influence public discourse, policy decisions, the democratic process and, hopefully, the outcome of elections.